Peter Burt may avoid plastic in his small sea salt business, but it's all around him on his bi-weekly trips to Trinity Bay to retrieve the seawater needed to keep the the company going. "It's crazy. Pop bottles, random pieces of fishing gear. I'm always amazed at what we find on the beach, and it's awful," said Burt. Co-owners Burt and Robin Crane have left the beach with the pan of their pickup loaded with plastic junk, hardening their resolve not to add to the plastic problem through the Newfoundland Salt Company: all their packaging consists of glass jars, metal tins, and paper seals and bags. Burt said the no-plastic rule is at the heart of the company. "If you have personal beliefs and you have your own business, you should put your money where your mouth is," he said. 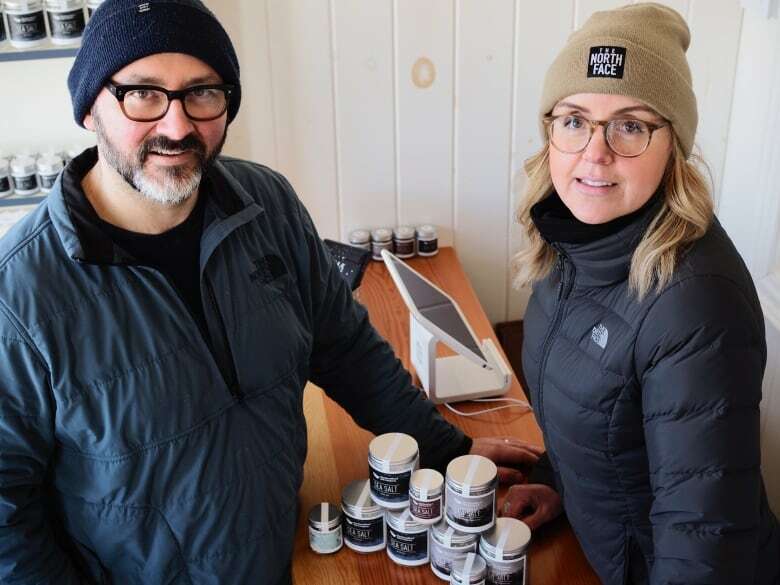 "For us, spending a little extra money on glass and metal packaging, and staying away from plastic, was very important." Dalhousie University business professor Peggy Cunningham said that move away from plastic is a sound one, and she knows: she recently studied small-but-fast-growing Canadian companies to see what common denominators there were to their success. "Almost the entire sample talked about their values, and I was really astounded by that," she said, adding environmental sustainability stood out as one of the most talked-about values. "To see that companies were marrying, and could marry, high performance with sustainability, even when they were very small and starting to grow, I thought was quite amazing." Ethical entrepreneurship has been picking up steam since the beginning of the 21st century, said Cunningham, and has gotten a huge boost in recent years from one of the biggest players on the planet: Unilever. In 2010, the company — subsidiaries of which are probably lurking in your bathroom (Vaseline, Q-Tips) or cupboards (Lipton, Knorr) — launched its Sustainable Living Plan brand, which rejigged some of its products to move toward better social and environmental practices. That move involved brands like Ben and Jerry's and Dove, and the payoff has been huge: profits for those brands have soared and, according to a Unilever press release, made up 60 per cent of the company's growth in 2016. Cunningham said Unilever has bucked a long-held belief in the business world. "It's been a really inspirational example, I think, for many companies ... it's almost like sustainability and profits could not go hand and hand, but Unilver has really demonstrated that their products that come under the Sustainable Living Plan have been more profitable and have been growing faster than their old-generation products," she said. 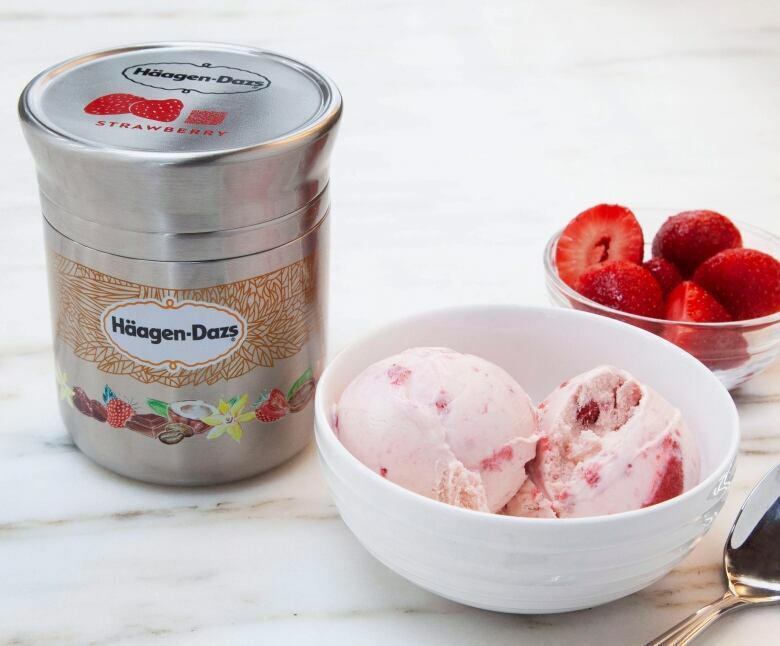 Unilver even took things one step further in early 2019, announcing it would participate in Loop, a pilot project to bring reusable, refillable packaging to grocery aisles — think Haagen-Dazs or Tide in metal containers — that's set to launch in Toronto, New York City and Paris before the end of the year. While such major moves always carry the question of greenwashing — that such claims involve more marketing than actual effort — Cunningham said the employees of today won't hesitate to leave an employer who is all talk and no action, and will even expose them in the media. Unilever does have a luxury that many small entrepreneurs do not: the ability to absorb the higher packaging costs that inevitably come when a company forgoes plastic. Burt estimates the glass jars for his salt, sourced from British Columbia and Chicago, cost four to five times their plastic counterparts. "When you start putting out the dollars and cents, the plastic is always cheaper, and always cheaper to ship it to the island," he said. 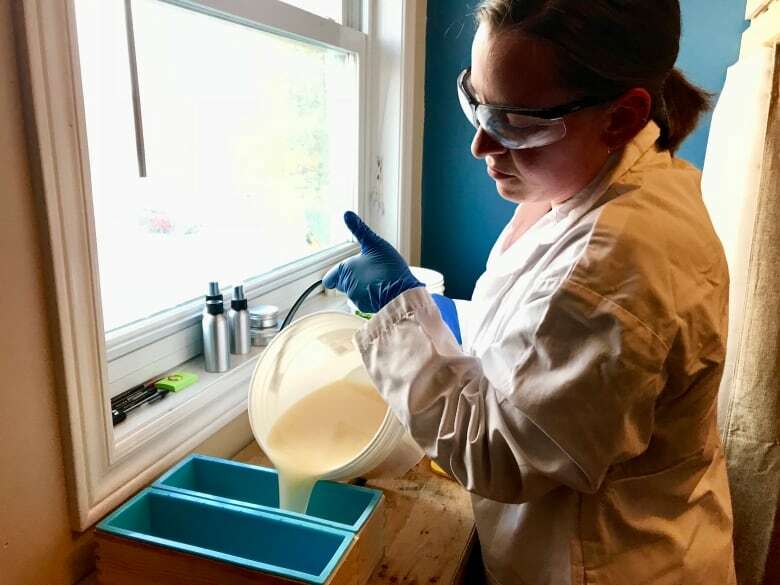 Soapmaker Mikaela Wilson tells a similar story of searching for alternatives to put her soap and body products in. 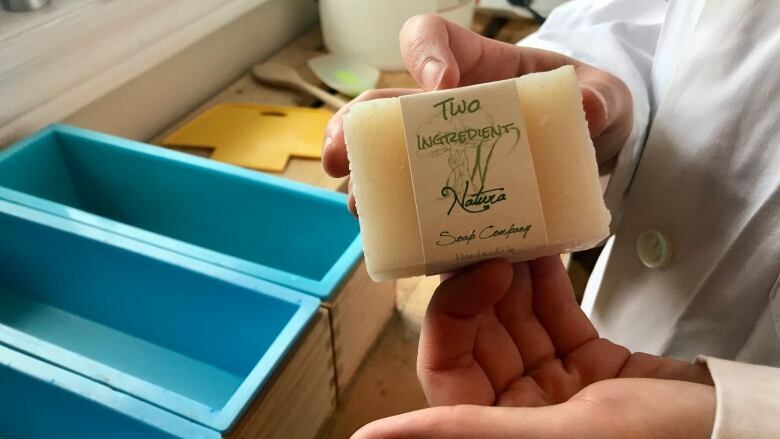 She began Natura Soap Company in Corner Brook using plastic bottles from a local dollar store, but as she grew tired of all the plastic in her own life she felt she couldn't continue to pass the same thing on to her customers. "I felt like it was almost my responsibility as a business owner to take that step," she said about her move in late 2018 to trade her plastic bottles for refillable aluminum ones. "It was a big investment to choose to take that step," she admitted. "I think every business should be doing that. You do see a lot of the big ones doing that. It's harder for a smaller business to do it." While it can be hard, there are rewards for businesses that do expend such effort, said Cunningham, with many consumers willing to pay a premium for products that align with their values. "Price doesn't drive all of the decisions. It's a nice salve that businesses use to rationalize why they're not working on more sustainability, I think," she said. In her Halifax classrooms, Cunningham has had a chance to get up close with the consumers of the future. She recalled recently looking around one class to realize all but two of her 50 students were sipping from reusable coffee cups or water bottles. "If that's our future market, I think that trend has got to be sustained, because that's what people who are buying our future products and services are looking for," she said. And those students aren't only going to be savvy shoppers in the coming years. "They don't want to work for companies that aren't sustainable," said Cunningham. 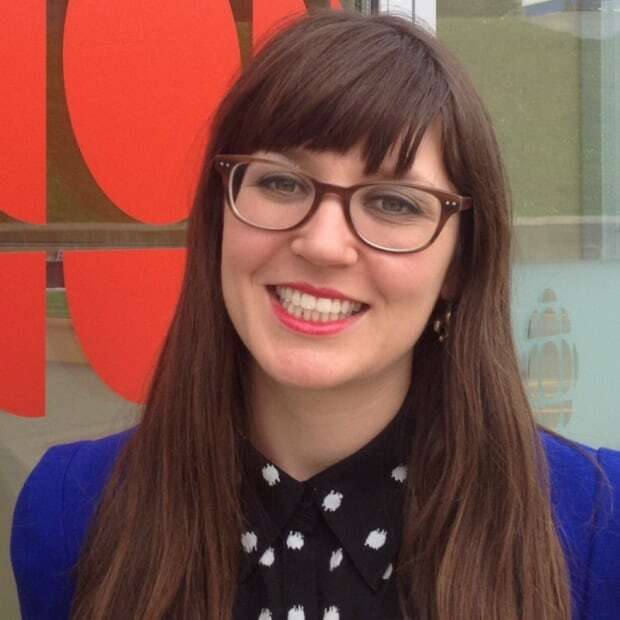 "Particularly here in the Maritimes and Atlantic Canada, it's a real struggle. Our average workforce age is getting older and older, and we're seeking highly qualified, tech savvy, younger employees — well, if we don't have that commitment to sustainability, they don't want to walk through our door." If more companies want to learn how to follow in the footsteps of tiny entrepreneurs like the Newfoundland Salt Company, Cunningham pointed to MEC as a Canadian example of sustainability on a larger scale. The outdoor retailer has spent the last two decades retooling itself and has been willing to make tough decisions on everything from packaging to diverse hiring practices. With an increased demand for sustainability, said Cunningham, "I think we can make a real difference in the world if we follow this agenda."